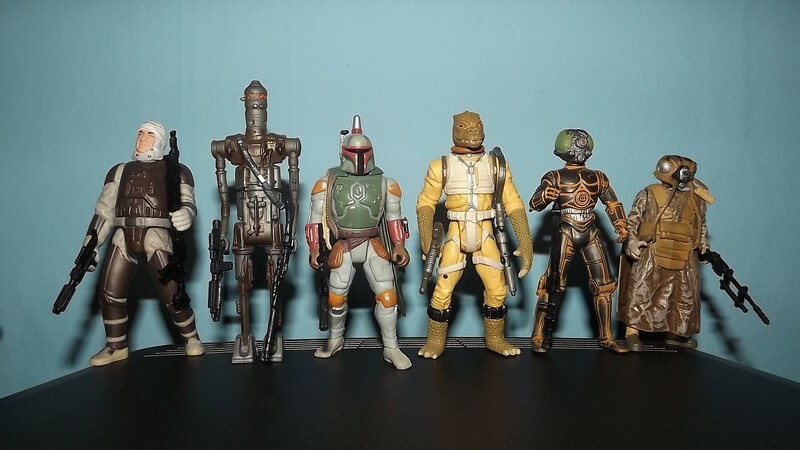 Here we have the bounty hunters from the 90s Star Wars POTF2 line: Dengar, IG 88, Boba Fett, Bossk, 4-Lom, and Zukuss. Figures from POTF2 line seem to be unpopular with collectors. My guess is that its because the line falls between the original one and the modern ones. The original line is pure nostalgia. The modern lines have more detail and articulation. 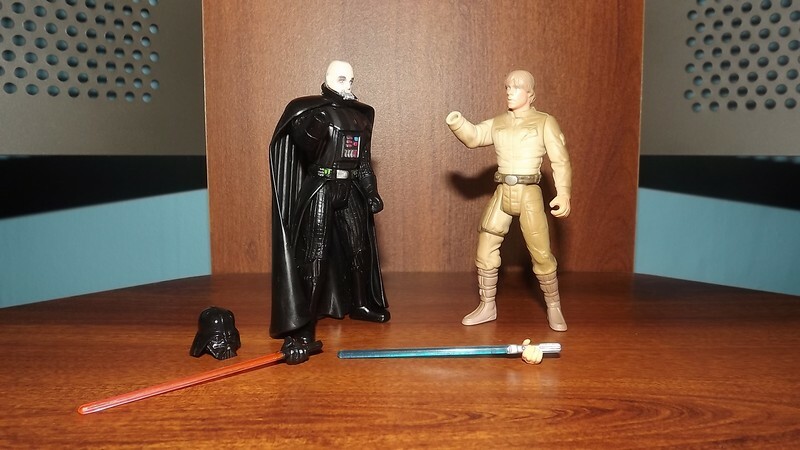 As a casual Star Wars fan, I very much like the POTF2 line, my reasons being that the figures have always been affordable, are very durable, and have nice paint applications. Also, most of the essential Star Wars characters and vehicles have been made for the line. Its a line that one can complete rather reasonably. There isnt anything thats vital thats rare. Two of my favorite figures from the line: Dark Vader with removable helmet and Bespin Luke Skywalker. Both figures have removable hands in keeping with the movies. 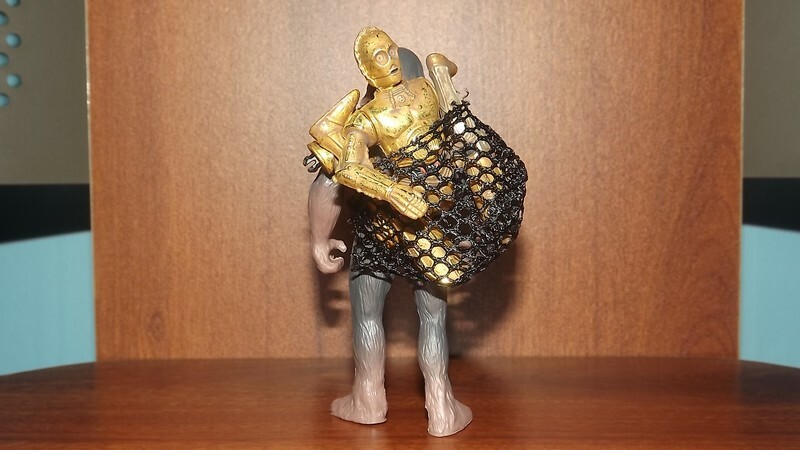 Heres the wonderfully weathered C3PO with take a part feature being carried by Chewbacca. 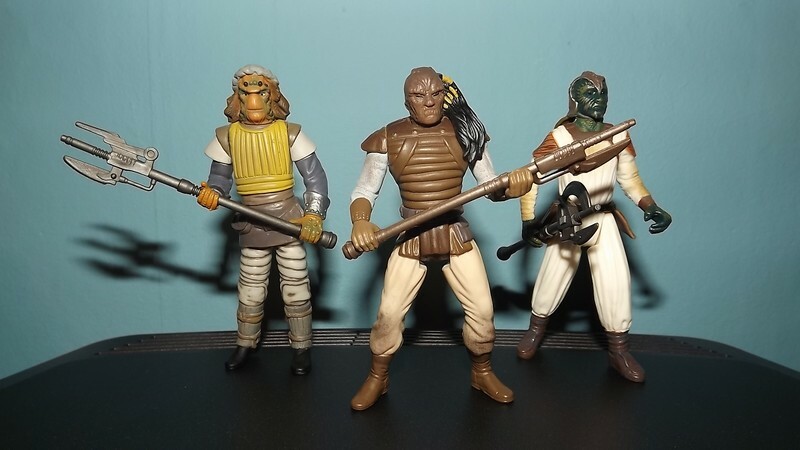 Here are some of the lines nicely done skiff guards: Nikto, Weequay, and Klaatu. Back in the early 00s, I auctioned off my childhood LEGO blocks on eBay, but I did keep some of my mini figures. 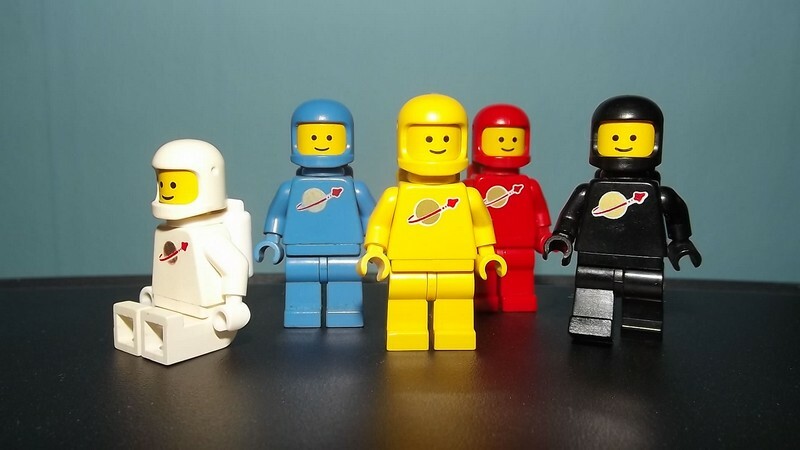 My absolute favorite being these ones from the original space line. Here we have all seven poses from Airfixs 1/32nd scale WWII British Commandos set that was first introduced during the 1970s. 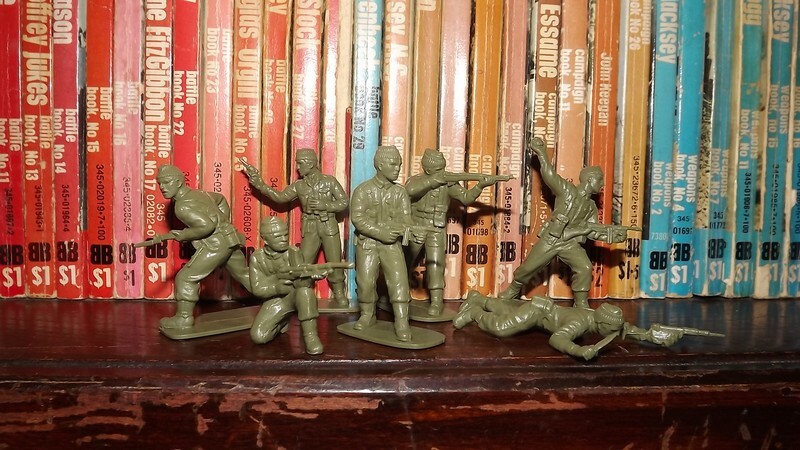 The set features a commando with an Enfield rifle and a bayonet, one crouching with a Bren gun, an officer with a revolver, a commando with a Thompson, another one with an Enfield rifle, another one with a Thompson, but, also, throwing a hand grenade, and a commando crawling with a knife in one hand and a Sten gun in the other. The set was reissued a number of the times over the years. 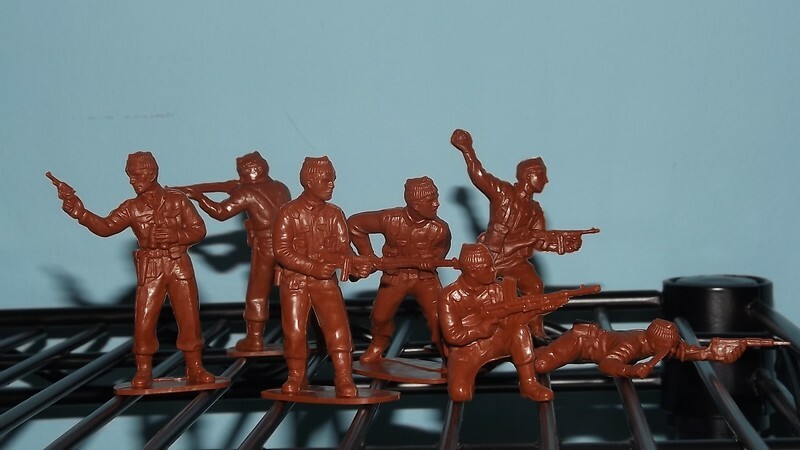 Here we see recasts molded in brown plastic that were sold through Classic Toy Soldiers when they had the exclusive rights to the original Airfix molds.